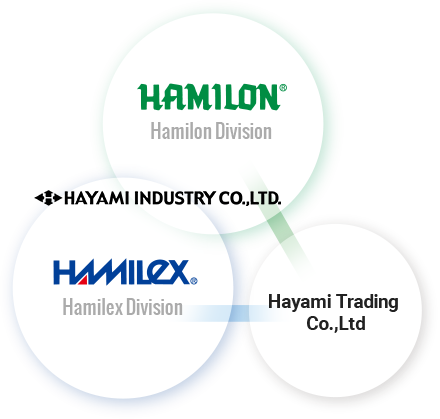 English ｜ HAYAMI INDUSTRY CO.,LTD. it...that is the ultimate goal at Hayami Industry. import-export division for Hamilex Dept. meet customer standards of perfection. rope for industrial use to sports and leisure use. made of various of new raw materials. processing in order to meet clients' needs and application. Copyright © Hayami Industry Co.,Ltd All Rights Reserved.